Over 51% Sri Lankans are likely to embrace new forms of payments and 68% find convenience and security of digital transactions driving the adoption, a Visa survey said. Visa, the world’s leader in digital payments technology, announced an independent study, conducted in collaboration with YouGov, which measure the consumer sentiment around digital payments in Sri Lanka. The study observed a growing inclination among consumers (51%) in favour of adopting newer modes of digital payments, indicating increased awareness, acceptance and adoption of digital forms of payments among Sri Lankan consumers. 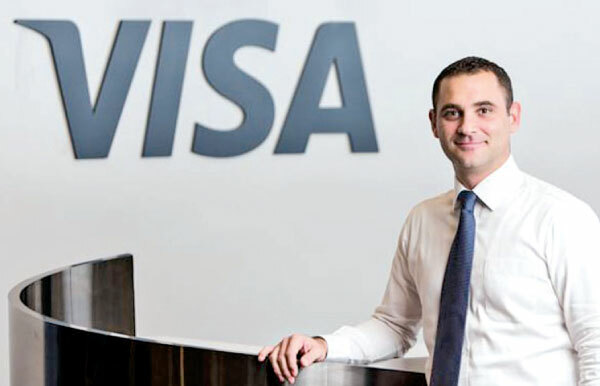 Going cashless is more than a convenience and for many, it has become a preferred choice, says Anthony Watson, Country Manager for Visa in Sri Lanka. “More and more consumers are becoming digital natives, expecting a differentiated experience, oriented towards convenience and practical usability. IoT, contactless payment technology, enabling simplified, secure and faster eCommerce experience are some of the trends defining the next wave of the future of payments. One of the factors that surfaced as the key drivers of this adoption include the convenience and security of the digital form factors of payments, as stated by 68% respondents. Among those who have used less-cash currently than before, 55% state that the main reason to transit away from cash include the ease of transaction’ offered by digital modes of payments. The survey was aimed at understanding the pulse of the Sri Lankan consumers and their views towards the transition to a digital economy. The study indicates that amongst people for whom this adoption was tough,53% stated they find that merchants they go to only accept cash while 54% find insufficient modes of payments as a key barrier while32% noted that they were worried about the security of their transactions. Significantly, over half of the consumers’ (66%) value security more than convenience when it comes to making payments online. This is similar across the board - gender, ages, household income and even education levels. The survey also highlights a popular trend among Sri Lankans to prefer card payments to pay for special incentives such as hotel and airline tours or holiday promotions which remain popular among Sri Lankan consumers through special credit card offers. The survey was conducted across three countries, Sri Lanka, India, and Bangladesh and also shows that millennials are more likely to use digital payments for everyday essentials like paying at bus or subway gates, shopping at supermarkets, online, department stores, fast food restaurants, taxis/cabs etc. than earlier generations. The study also shows that the inclination towards embracing digital is higher among those from a higher income household. “While there is a visible shift in consumer spend pattern form cash to digital modes, there is also a clear and willing adoption of this transition among consumers today. People across geographies realise the benefits of adopting digital modes of payment and are open to experimenting with newer forms of payments. While the study indicates consumer willingness to transition to digital forms of payments, it also highlights the opportunity for the industry to expand digital acceptance footprint across Sri Lanka in keeping with evolving consumer spend patterns.” adds Watson. The study, which sampled people in India, Bangladesh and Sri Lanka this October, was conducted by market researchers YouGov on behalf of Visa using active sampling, a method that focuses on ensuring the quality of the sample, rather than the quantity of the respondents Visa Inc. (NYSE: V) is the world’s leader in digital payments.